You see them on the news every year as thousands of people across the country use this ‘freezing’ tradition to usher in the New Year. AND…Snoqualmie resident Rachel Money is hoping Rattlesnake Lake will have a big Polar Bear Plunge every year going forward. 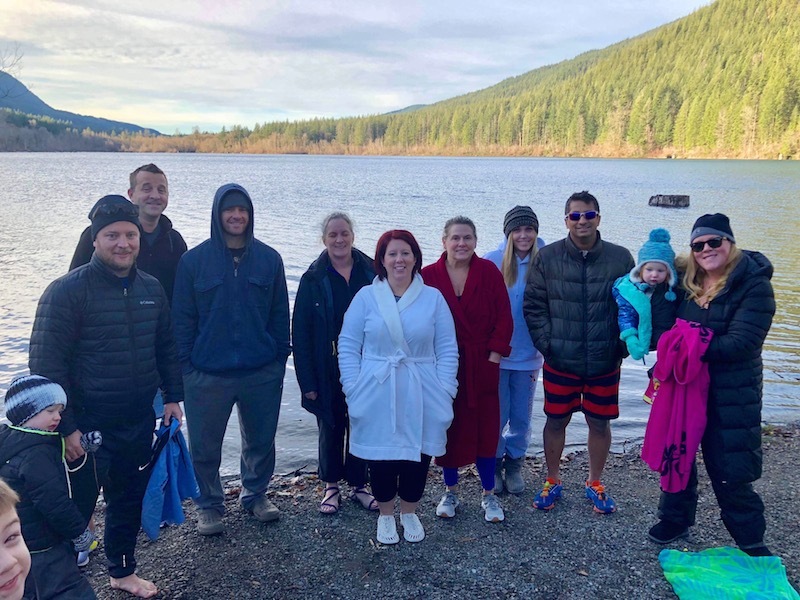 2018 marked the first year for Rachel’s organized Plunge in the frigid water of North Bend’s Rattlesnake Lake. Rachel said she decided to organize this small Polar Plunge because she was looking for a place to continue her 20-year tradition of jumping into the freezing water to kick-start her New Year. After finding there weren’t any large, publicly organized plunges on the Eastside, Rachel explained that her Snoqualmie neighbors encouraged her to start one in the Valley. So on Monday, January 1, 2018 – at 10AM and in 33 degree weather – nine brave residents took the cold dip – with about 15 attendees watching and cheering them on. 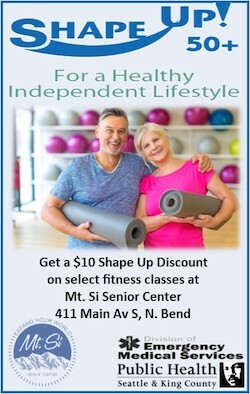 Happy New Year Snoqualmie Valley! Leave a comment if you’re interested in joining Rachel and her fellow plungers next year. Rachel Money and fellow polar plungers at Rattlesnake Lake on New Year’s Day 2018. I hope we can get a bigger crowd next year – we would love to see you there! Sincerely, your very cold Plungers. There were a lot more people at 2018 Rattlesnake Lake Polar plunge than these photos show. Are they from a former year? Sorry, I see this is a different Polar Plunge than the one we attend each year at Rattlesnake Lake started 14 years ago by Dave LaTourette. Each year it gets a larger number of participants and also spectators. There were Remlinger Farm ponies attending also. The oldest participant for the last 5 years will be 80. I have organized a Rattlesnake Lake Polar Bear Plunge for the last 14 years. It’s at 10 AM on 1/1/new year every hear. I’m glad the idea is popular, but this story is wrong, and I’ll be pretty bummed out if another group, instead of joining a long-standing existing plunge, tries taking over with a similar event at the same date, time, and place. I’ve seen video of my sister doing this plunge here for several years…how can it be “new”? Either poor reporting or someone is giving misleading information I think.